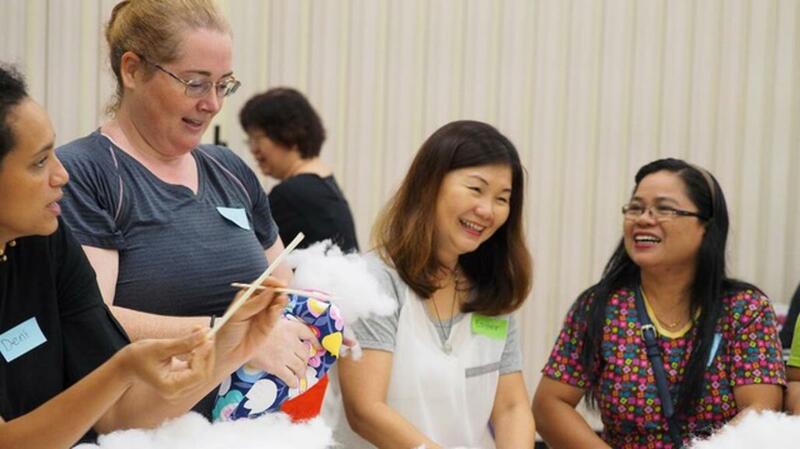 You have heard of the target of 50,000 hours of service that members in the Stake are going to offer to the community as part of the 50th Anniversary of the Church in Singapore in 2019. Stake President Jean Lu-Butel has given the countdown to begin from this month, November. The Relief Society sisters are first out of the gates, completing a service project on 3 November at the Stake Centre with 69 sisters coming together and clocking 130 hours of work. 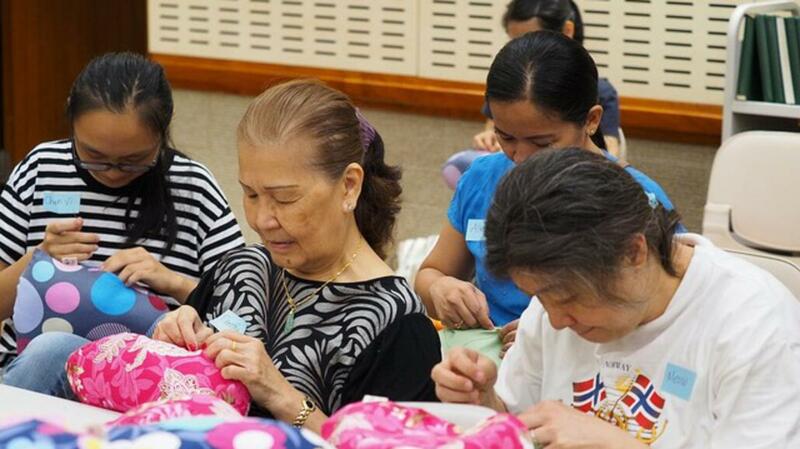 The sisters, including four young women, made 100 'I Spy Bags' for the Thye Hua Kwan EIPIC Center, 50 beanies, 120 sets of pencil cases and 50 bibs for the KK Women's and Children's Hospital and 53 heart-shaped pillows.